There are pros and cons to visiting Iceland in June. However, the country really comes alive when there’s sun light around the clock and the temperature rises a bit. Here’s Must See’s guide to Iceland in June. The biggest advantage to visiting Iceland in June is probably the weather. June is the first proper summer month, even though we celebrate the first day of summer in the second half of April. That’s Icelanders, unshakeably optimistic. The average temperature in Iceland in June is 9.43°C (48.97°F). The highest air temperature recorded in June was 20.5°C (86.9°F) on the 22nd of June in 1939 at Teigarhorn on the southeastern coast. The average high temperature in Reykjavík in June is 11.7°C (53.1°F) and the average low is 6.7°C (44.1°F). You should know that it doesn’t take much for Icelanders to put on their shortest shorts and T-shirts when the sun comes out, even though the temperature barely makes it to 10°C. June also tends to have less rain than the other summer months, July and August, which is always a plus in Iceland. And since we’re on the topic of weather, the best thing about June is undoubtably the midnight sun, where the sun hardly sets. The length of the day in June is actually 20 hours and 8 minutes, which gives you plenty of time to explore Iceland in all its glory. The downside of not having any darkness is of course the absence of northern lights. You can’t have your cake and eat it too! When we combine the facts that the temperature will probably stay decent, less rain and the midnight sun, there should be no surprises when I say that Iceland in June is quite busy. So many people want to experience Iceland in June so prepare yourself for huge crowds at the main tourist attractions, like the Golden Circle and the south coast. Book your Golden Circle Bright Nights Tour here. What you can do to stay in smaller crowds, is to travel further east from Reykjavík and explore the eastern region. From there you can journey to the northern region and enjoy some beautiful sceneries and lovely little towns. Or you can travel west from Reykjavík, exploring the Snæfellsnes peninsula and all the way up to the Westfjords, which some say is the most beautiful region in Iceland. It’s your call. Kirkjufellsfoss waterfall in West Iceland. Check out our tours of the Snæfellsnes peninsula here. I should add that because June is so busy, it’s quite hard to find last minute accommodation, nearly impossible in fact. Tours to the most popular attractions are not as hard to find, since so many companies operate them but if you want to do something more obscure and unique, you should book in advance to secure your spot. I’ve mentioned that Icelanders are quick to put on their summer clothing, and you should definitely pack some shorts and T-shirts since it can get quite warm. However, you should also be prepared for the cold sea breeze and some rain, especially if you have your heart set on exploring the countryside. So pack layers and wind and water proof outerwear. And bring your sunglasses and some sun screen because of the endless sunshine. June is in fact the best month to spot whales and puffins in Iceland, if that’s what you’re into. Iceland is the largest puffin colony in the world so chances are you will spot them. If you want to go searching for the puffins, your best bet is to go to the Westman Islands, Dyrhólaey cliffs by Reynisfjara black beach on the south coast and Látrabjarg cliffs in the Westfjords. Click here if you want to take a puffin watching tour in Reykjavík. If bird watching is your cup of tea, you should check out Fuglavernd – BirdLife Iceland. They offer various bird watching events in June in the great outdoors. Whales can be spotted all year round but the best odds to see them are definitely during the summer. You can see more than 20 species of whales around Iceland, including minke, humpback and blue whale. My recommendation for whale watching is without a doubt Húsavík, the whale watching capital of Iceland, which is located in the north of Iceland. It’s a long drive but totally worth it, and you can visit the whale museum there as well, which is quite spectacular. Click here to book your whale watching tour in Reykjavík. 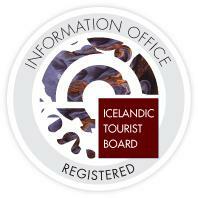 Which brings me to festivals and activities you can enjoy in Iceland in June. There are so many to choose from so I’ll just give you a few highlights. The biggest one is undoubtably our national day, the 17th of June. Then we celebrate our independence from Denmark and the foundation of the Republic of Iceland on the 17th of June 1944. There are celebrations all over the country, with the biggest one being in down town Reykjavík. Thousands of Icelanders flock down town to enjoy various entertainment with their family and friends. It really is a day you can’t miss. Also catch the Festival of the Sea on the 11th of June which is celebrated all over the country. Music festival Secret Solstice is relatively new to the scene, but growing fast. It’s on from the 15th of June until the 18th and the main headliners this year are The Prodigy, Foo Fighters, Chaka Khan and Richard Ashcroft. See the program and book tickets here. If you’re into chamber music you can check out Reykjavík Midsummer Music, an award-winning chamber music festival founded by renowned pianist Víkingur Ólafsson. It takes place in Harpa concert hall on the 22th-25th of June and features artists like Víkingur himself, Julien Quentin, Steef van Oosterhout, Sayaka Shoji and Rosanne Philippens. Also performing at Harpa in June is legendary musician Engelbert Humperdinck, known for such hits as Release Me, The Last Waltz and Quando, Quando, Quando. He will perfom in Eldborg Hall on June 26th. The concert starts at 8 PM and tickets are available here. As for local artist go, you should see HAM release concert on June 22nd at bar Húrra. HAM is a legendary rock band which was formed in 1988. The lead vocalist, Óttarr Proppé, is now Iceland’s minister of health. Quite a colorful, and now controversial character. Get tickets here. You could also check out Icelandic rap sensation Úlfur Úlfur at the same bar, Húrra, at 9 PM on Saturday June 3rd. Tickets are 2000 ISK and sold at the door. Heavy metal fans should check out DIMMA’s release concert for their new album, Eldskírnir, at Háskólabíó in Reykjavík on June 10th. The show starts at 8 PM and tickets are on sale here. Kótelettan BBC Festival will take place during the weekend 9th-11th of June in Selfoss town on the south coast of Iceland. The festival celebrates the art of barbecuing and you can sample various Icelandic food products during the weekend. A local barbecue master is crowned and there are many local musician that perform, such as Eurovision superstar Páll Óskar, legendary pop band Stuðmenn and newcomer Aron Can. If you want to go back in time, you could go and see a Roxette Tribute concert at Hard Rock Café in down town Reykjavík on June 15th. The doors open at 8 PM and the concert starts at 10.30 PM. Ticket price is 2500 ISK and tickets are sold at the door. Jazz fans can travel to Akureyri and enjoy Summer Jazz at Hof Culture Center on the 15th of June at 8 PM. There are of course plenty of things for outdoorsy types to enjoy in Iceland in June. One of the funnest, and the most popular, events of the summer is The Color Run. It’s an extremely colorful 5 kilometer run where participants throw colored powder on their competitors for sport and everyone finishes the race looking like a rainbow colored marshmallow. The race is in Reykjavík on June 10th and in Akureyri on July 8th. If you’re interested in a challenge you can join the toughest trail race in Iceland, the Mount Esja Ultra on June 18th. It’s a mountain race up Esja, which is a 25 minutes drive from down town Reykjavík. You can choose from three distances: 14 kilometers, 42,4 kilometers and 77 kilometers. Register now if you dare. Or check out our Mount Esja Drone Hiking Tour. The Suzuki midnight run is also a popular race, held on the 23rd of June in Laugardalur in Reykjavík. It starts at 9 PM and you can choose to run 5 kilometers, 10 kilometers or 21 kilometers. You can also do some yoga in Iceland. If you pop by Vesturbæjarlaug swimming pool in Reykjavík on the 8th of June at 7.20 PM, you can take place in a yoga session in the water. Pretty cool! Or you can go to Loft Hostel every Sunday at 12 PM and enjoy a free yoga class. Be sure to register though at reception because space is limited. On Sunday June 4th you can join a guided tour of Viðey Island where guests will be introduced to a variety of open-fire cooking methods. A fire will be lit on the seashore where bread, popcorn and pancakes will be cooked and served as well as hot chocolate. The ferry sails from Skarfabakki Harbour to Viðey Island at 1.15 PM. A great activity to do in Iceland in June. Book your ferry tickets right here on Must See. And even though it’s not an outdoorsy thing, you should find a TV that shows soccer on June 11th at 6.45 PM, when Iceland and Croatia head off in the world cup qualifiers. And now for something completely different. Beer lovers should not miss the Beer Festival – Maine Beer Box at Sundahöfn harbor in Reykjavík on June 24th from 2 PM to 6 PM. Beer lovers will have a chance to enjoy over 50 types of beer, from around 40 craft breweries from Maine and some of the finest Icelandic craft beer brewers, in what stands to be the biggest craft beer festival ever in Iceland. Get tickets here. Belt out to Summer Nights. You should also check out the Viking Festival in the Viking Village in Hafnarfjörður on June 15th and get a taste of our viking heritage. It’s a great festival for the whole family. Another festival in the outskirts of Reykjavík is Breiðholt Festival on the 11th of June. The festival celebrates art in Breiðholt and will be held in Hallsteins Sigurðsson’s sculpture garden, in the heart of Seljadalur. Various events will take place at the festival such as; music, installations, dance and theatre. In addition you can grab a bite at the food market and float around in Öldusel’s swimming pool. Free admission and really family friendly. On Saturday June 3rd you can take a kite class at Reykjanesbær library and learn to make your own kite. The class is from 1 PM to 3 PM and admission is free. Or you can check out the Icelandic championship in backgammon at Faxafen 12 in Reykjavík on the 8th-10th of June. It starts at 6 PM and anyone can enter. You can also test your knowledge of hit TV show The Office at a pub quiz at bar Húrra on the 7th of June at 8 PM or sing-along with legendary movie Grease at Gamla bíó in Reykjavík on the 22nd of June. Most most importantly – have some fun in Iceland in June!